Honda’s not pulling any punches with its concept offerings at the Osaka Motorcyle Show. After pulling the covers off of the SFA and the CRF250 Rally Concept a few days ago, Honda’s now pushing another concept into the spotlight. It’s called the Bulldog and if you didn’t know any better, you’d probably think that the Bulldog is actually a Ruckus injected with performance-enhancing drugs. Seriously, put the two side-by-side and you’ll immediately notice their similarities, most specifically the Wall-E-inspired win headlamps at the front and the high-rising side mirrors. But for the most part, the Ruckus and the Bulldog are two different bikes with the latter being touted as a lovable tourint partner," whatever that means. That said, the Bulldog is a pretty cool, albeit a little funky concept, and that may be putting it lightly. 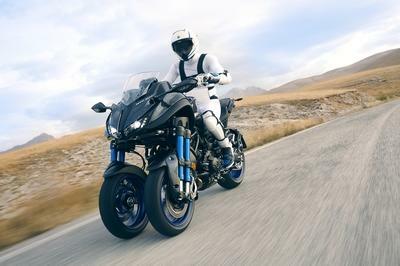 So say what you will about Honda, but as the Bulldog shows you, the company still knows how to have some fun with some of its prototypes. Click “continue reading” to read more about the Honda Bulldog. The Honda Bulldog is one of the most unorthodox concept bikes I’ve seen in quite a while. I honestly can’t point to what the bike looks like. The exposed frame, painted in what looks like a faded green finish, gives it that rugged and utilitarian vibe. On the other hand, the chunky plastic engine covers gives it a weird character that somehow works. I don’t know if I’m losing my mind here, but I like the way the Bulldog was constructed. The bike also rides on 15-inch wheels that are wrapped in thick off-road tires. It also has small racks just above the headlamps and behind the seat and a short profile shown by its rather short 28-inch seat height. 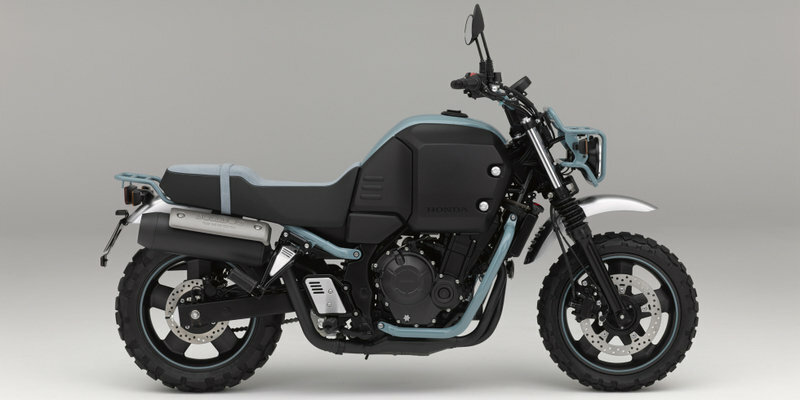 Maybe Honda intended to create the Bulldog to confuse the mess out of people like me. It’s not a good position to be in, but I have to give Honda props for building a concept that really escapes conventional definition. 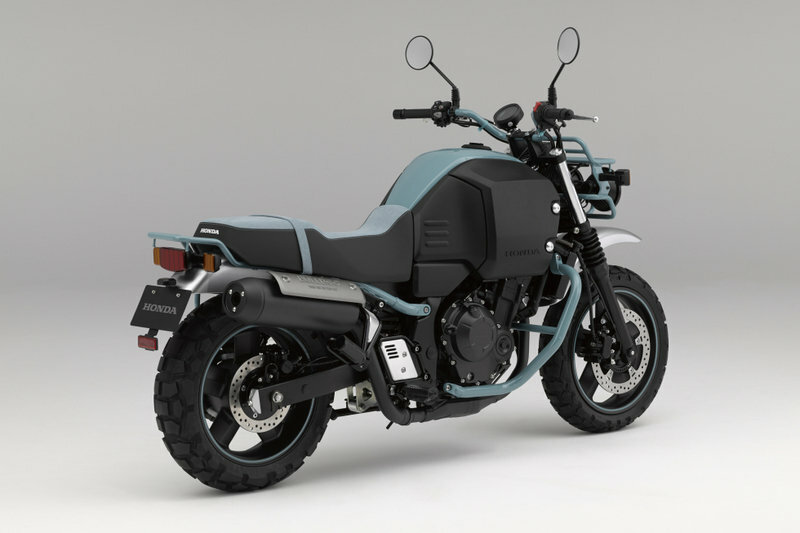 According to Honda, the Bulldog is powered by a 400 cc DOHC inline-twin engine that produces around 52 horsepower and 28 pound-feet of torque. Note that the out I mentioned is merely an educated guess based on other bikes sporting the same engine size. Be that as it may, I don’t think anybody will notice the Bulldog based on how much power it can produce. With looks like that, I reckon it’s rather funky styling is what people will be talking about. It’s still a concept so don’t expect any pricing details to be released anytime soon. But if I were to make an educated guess, a production Bulldog could come with a price of around $5,000 or close to retail price of the Honda CB400F. As of now, Honda has made no indication of any intention to bring the Bulldog into the market. But that doesn’t mean that it’s not opening its doors to the possibility. After all, if the Ruckus can find a place in our world, there’s no reason why the Bulldog can’t.